Whether made of wood, metal, or cloth, all toys have dreams. They long to be admired, played with, and loved. But most of all, they yearn to become real. 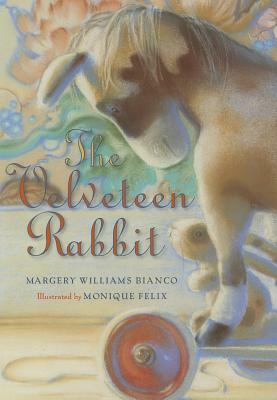 In this softcover edition of Margery Williams Bianco's The Velveteen Rabbit, the warm-toned illustrations of award-winning artist Monique Felix give life to a classic story of childhood wonder.